Today we drove out to the west coast of the Auckland region and stopped at Piha beach. This is a wild, windswept surfing beach with black sparkly sand and a really good cafe nearby. 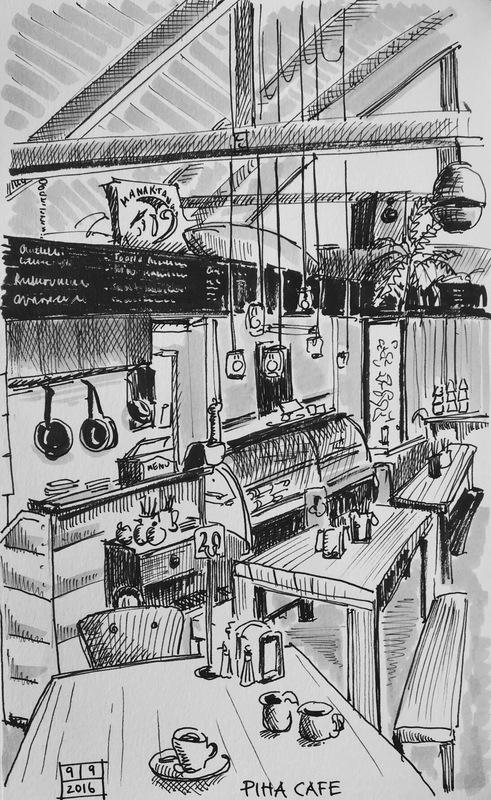 Too cold to sketch on the beach but I managed this in the cafe!